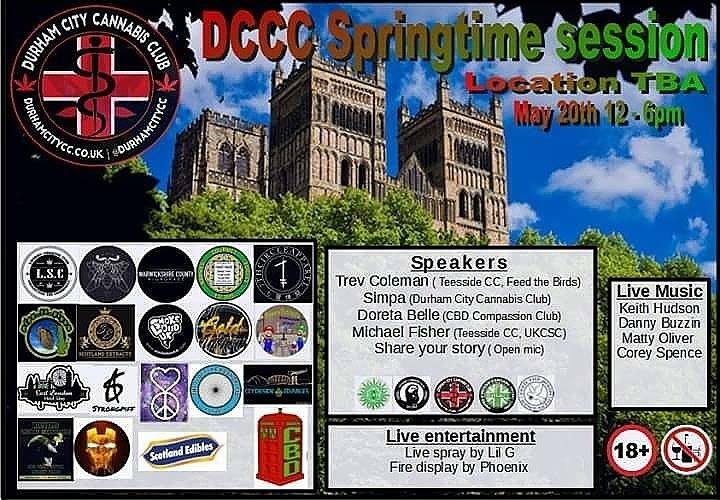 This weekend in the north-east of England saw Durham City Cannabis club hosting their first solo event, The DCCC Springtime session. 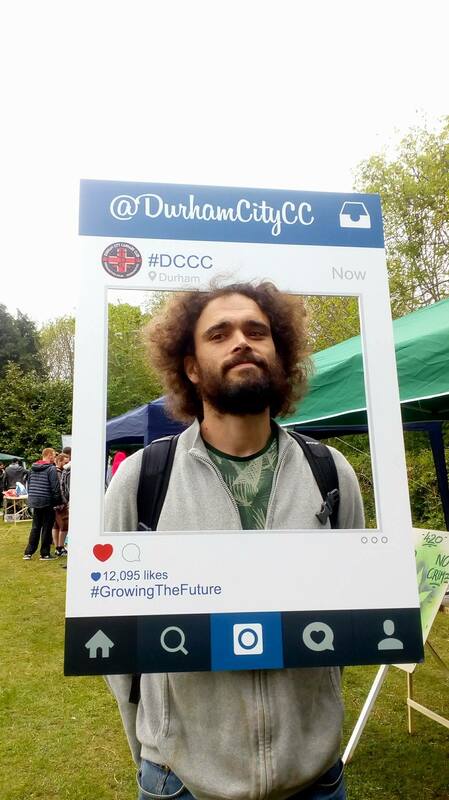 The event took place in the heart of Durham city beneath the shadows cast by the trilogy of prohibitive power structures: the prison, the courthouse and the police station that tower over the disused bowling green – deliberately chosen as the site from which DCCC plan to lead a revolution. The stormy clouds of a typical northern spring Saturday morning may have chased away a few, but the many still braved the early rain to be rewarded with ever clearing skies. The afternoon was filled with plenty of live music including local busker and folk hero Danny Buzzin, the exceptionally talented Keith Hudson and another great local musician Corey Spence, Live entertainment with a hypnotic fire display by Phoenix! 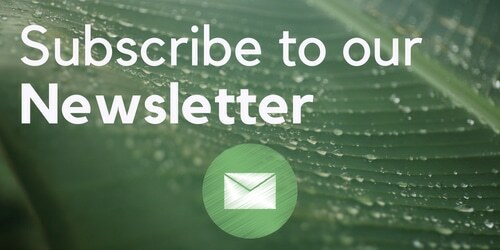 As well as the opportunity to be socialising and networking with some of the North’s movers and shakers in the Cannabis community and of course the stalls and vendors too. 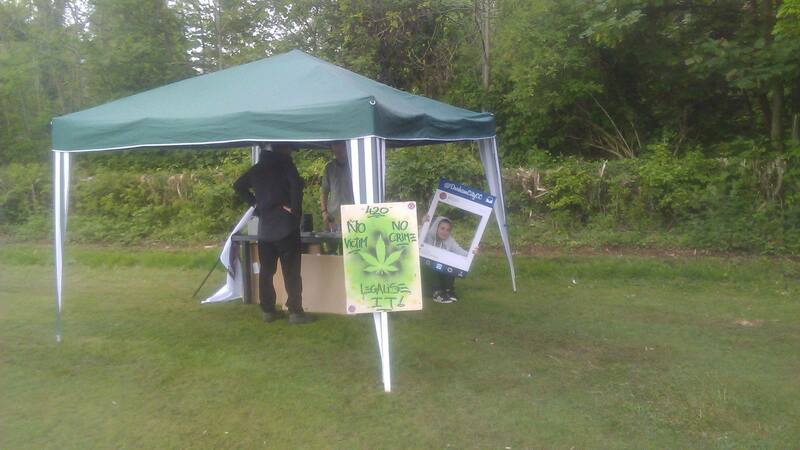 Pips to pipes, East London head shop, Smoke loud UK, Blue Cheese Clothing, Scotland Edibles, StrongPiff, The Loft 710 head shop, Heart and Peace and WVCC who kindly provided some refreshments and a dab tent. 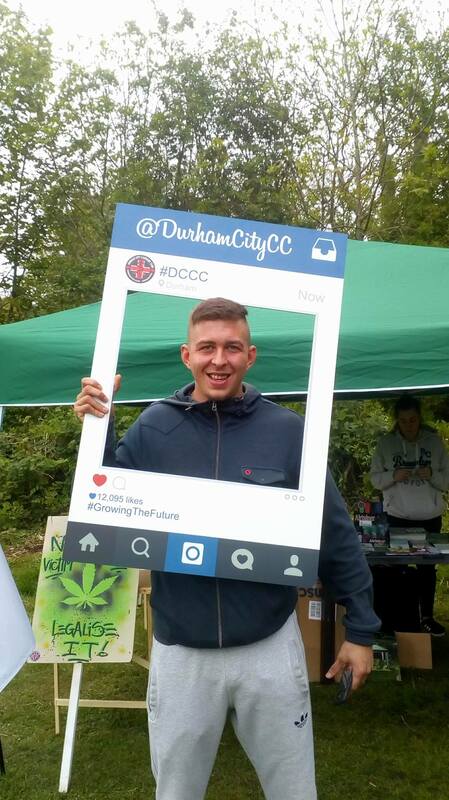 DCCC had a variety of leaflets and literature on hand to give out to attendees and were once again joined by Teesside Cannabis Clubs Trev Coleman who kindly volunteered himself to answer any and all questions people may have had. 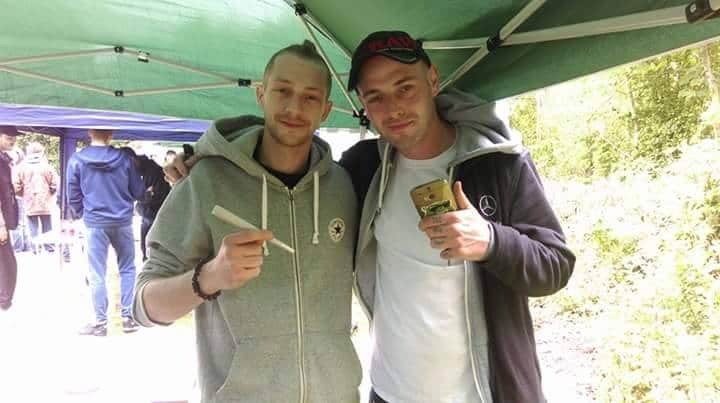 As well as Its gold up North and its Gold up Forth extractors who set up a huge gazebo to provide space to socialise, network and connect with like-minded individuals at the concentration station. 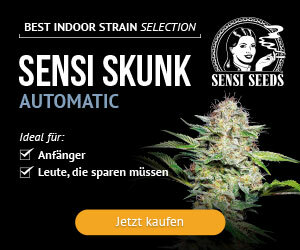 Cannasseur’s from all corners of the county and country descended on the city to celebrate their favourite plant and to protest the absurdity of the government’s continuous attempts to prohibit a plant that is overwhelmingly evident to be a peaceful influence on those people who choose to consume it. We had easily 150 people pass through the event over the course of the day with no incident and again with no police presence. We also collected all rubbish from the event before we left. 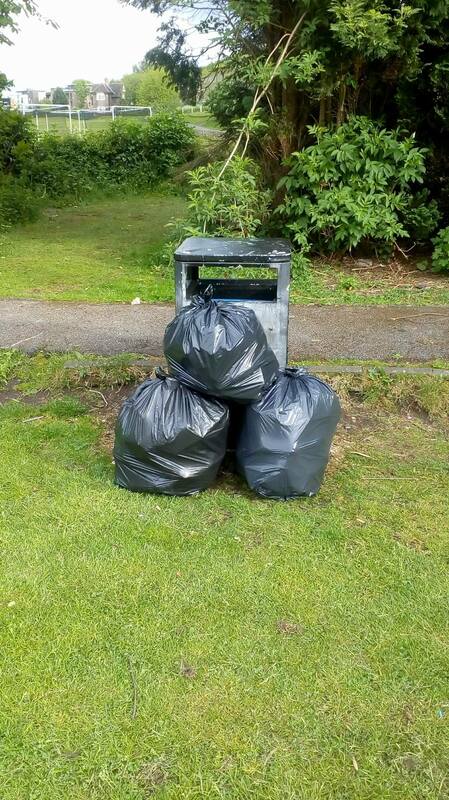 The litter was collected and the council notified that there were some extra bags to collect by the bin. What DCCC are hoping to show with hosting these events is that there is no need to police these events and that the Cannabis clubs and local forces do not have to be adversaries. 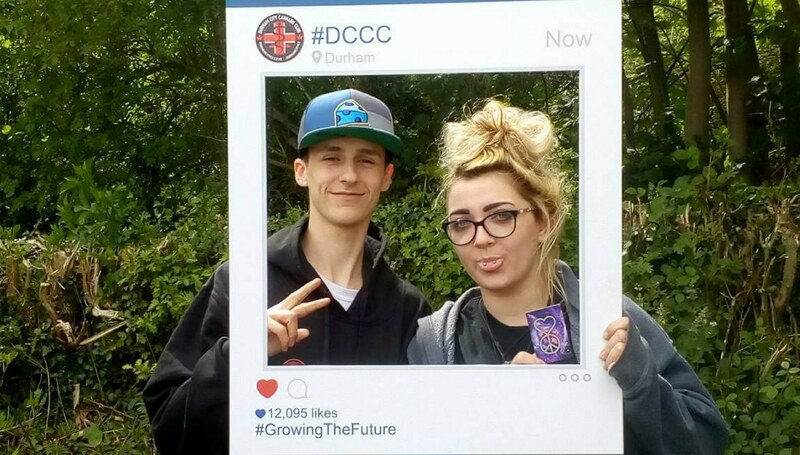 The next event from DCCC will be June Bloom on June 24th. Come and show your beautiful faces!